A unique and refreshing take on traditional bluegrass music. Making his home in Appalachian Mountains 18-year-old Luke Morris grew up with the sounds of Bluegrass music. 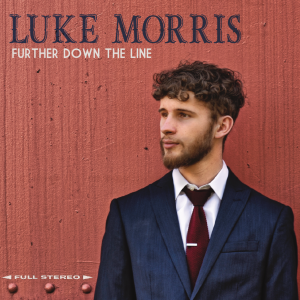 Although Luke explores new and truly unique musical ideas, his foundation is firmly rooted in bluegrass music. The ideas of Bill Monroe, and Flatt and Scruggs are the catalyst of his musical style. This album is the culmination of my artistic ideas over the past few years. I set out to create an album that embodied who I am and defined my musical style. Although the album explores new and unique musical ideas, it’s foundation is firmly rooted in the bluegrass music I grew up listening to. The title track “Further Down the Line” was the first song that I wrote for the album, and it set an underlying theme of change that the rest of the songs followed. These songs all have a story to tell—some joyful, some sad, and some in-between—but they all express what I’m feeling in this time of change in my life. Join my email list and be the first to hear about upcoming projects and receive special offers! Almost Finished! Check your email to complete your signup. Making his home in Galax, Virginia, 18-year-old Luke Morris grew up with the sounds of Bluegrass music. He can be found playing and singing anytime he is given the opportunity, individually and with the band ShadowGrass. Luke is also passionate about teaching our regions traditional music to other students. He was an instructor with the Galax JAM program at Chestnut Creek School of the Arts in Galax for 3 years. As an individual, and as a part of the band he has gained a collection of prize-winning youth and adult titles around the area. When he is not playing bluegrass, Luke enjoys running, enjoying the beauty of the Blue Ridge Mountains and playing and singing with the worship team at his church. Luke is continuing his study of music at East Tennessee State University in Johnson City, TN.